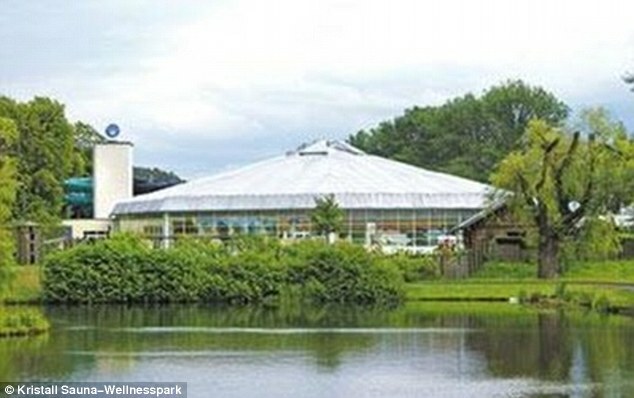 A health spa has offered potential customers the chance to enjoy a ‘long romantic Kristallnacht’ - just days before the 75th anniversary of the Nazi atrocity with the same name. 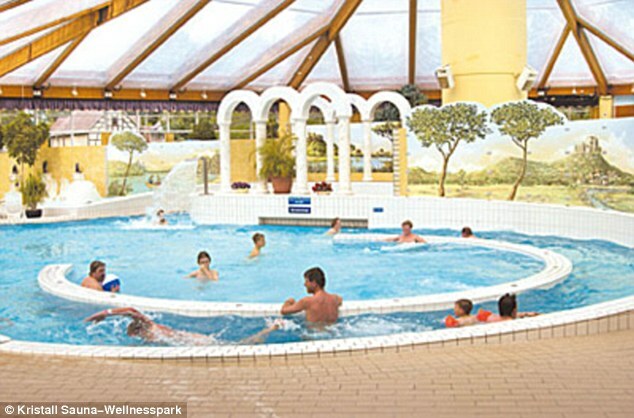 The astonishing error was made by Kristall Sauna-Wellnesspark in Bad Klosterlausnitz, Germany, in an advert on its website which was accompanied by a photograph of candles. The spa’s owners have apologised for their ‘insensitive naming of this event’ and admitted it was ‘extremely inappropriate’ - but claimed they often tagged part of their name, Kristall, onto events. ‘We are extraordinarily regretful and of course this was unintentional - believe us, we are quite ashamed about our mistake,’ a statement by the owners said, according to The Times of Israel. 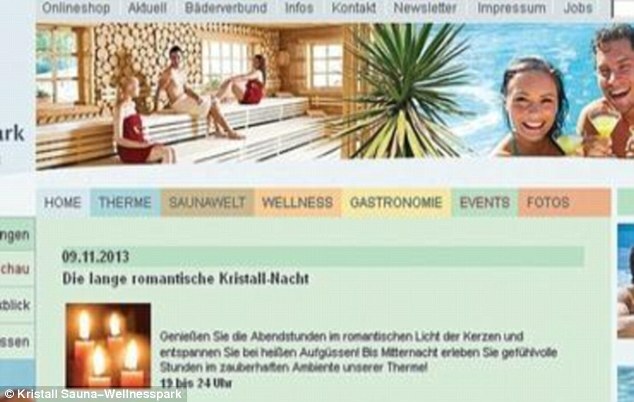 The name of the promotion has been since changed by spa bosses to: ‘The long romantic night’. An employee at the spa told the newspaper the advert was a ‘misunderstanding and refers to the name of the firm’ and that officials had ‘apologised for the mistake and there was nothing political’. 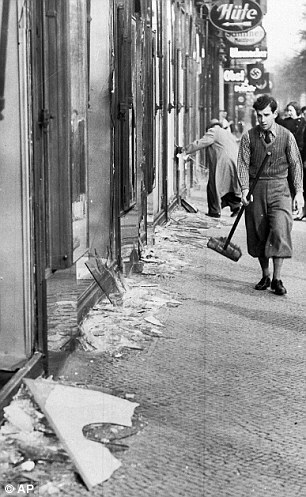 Kristallnacht, the 'night of broken glass', was when the Nazis coordinated a wave of attacks in 1938 in Germany and Austria - burning synagogues, ransacking homes and looting Jewish-owned stores. 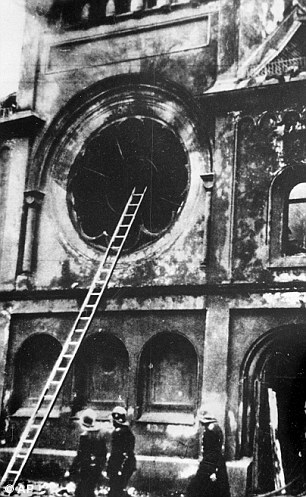 Remembrance events on November 9 will mark the 75th anniversary of the riots - given the name Kristallnacht because of all the broken windows of synagogues and Jewish-owned buildings. At least 91 Jews were killed, 267 synagogues were burned or destroyed and 7,500 Jewish businesses were vandalised or looted, according to the US Holocaust Memorial Museum. It comes as Conservative MP Fiona Bruce said Christian persecution in the Middle East should provoke the same outrage as the Nazis' treatment of Jews during the Second World War. She told MPs that Christianity is the most persecuted faith in the world and the issues should result in people crying out with the same abhorrence and horror as for atrocities such as Kristallnacht.